Do you love plants? We need a plant whisperer for our North Campus. 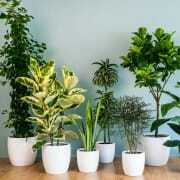 There are about 15 plants that need love every week for watering and trimming. You who understand that "plants are people too" - please come work your magic with us!